How much is Takeoff Worth? 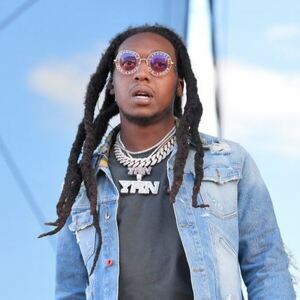 Takeoff net worth: Takeoff is an American rapper who has a net worth of $16 million. Takeoff was born in Fort Wayne, Indiana in June 1994. He is best known for being a member of the member of the hip hop trio Migos with his relatives Quavo and Offset. 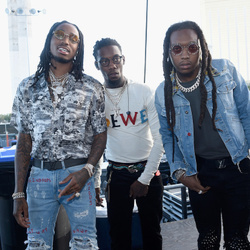 Migos formed in 2008 and released their debut studio album Yung Rich Nation in 2015 which reached #3 on the US Rap chart and #5 on the US R&B/Hip-Hop chart. Their album Culture was released in 2017 and reached #1 on the Billboard 200 and on the US Rap and US R&B/Hip-Hop charts as well as in Canada. Migos released the album Culture II in 2018 which also reached #1 on all four of those charts. Their single "Bad and Boujee" (featuring Lil Uzi Vert) reached #1 on the Billboard Hot 100, US Rap, and US R&B/Hip-Hop charts. 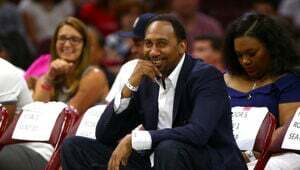 Takeoff was featured on the single "Eye 2 Eye" by Huncho Jack.